UPDATE!!! 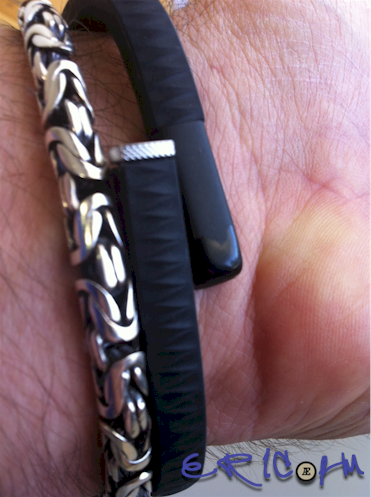 My Jawbone (2nd Gen) UP Band “Died” Last Week…. R.I.P.??? I’m happy to say that this afternoon I received a support email from Jawbone Support. They suggested that my UP (2nd Generation) Wristband just needed to be reset – and they were right!!! I can honestly tell you my UP wristband is working and syncing correctly with my iPhone! If you experienced the same issue with your new UP wristband, I hope this will save you some time contacting the Jawbone Support. I hope this email finds you well! It sounds like we need to reset the band. Resetting the band is easy and won’t erase your user data. 5. Re-launch the UP app, log in and plug your band into the iOS device. The band should start to SYNC automatically. If it doesn’t, press the SYNC button in the upper left hand corner of the app. This soft reset should get your UP band working like it’s supposed to, however please give us a call at 1-800-JAWBONE and let us know if it doesn’t so that we can look into additional troubleshooting. Have a wonderful day Eric! Thank you so much!!! My UP band stopped syncing a couple hours ago, now its syncing again after I followed the advice you posted here – Thanks again, I’m so glad I stumbled over your post! Thank you! It worked for me too! Thank you so much for this. My boyfriend and I have been trying to find a solution to why my up band was not working ( it started flashing all the different colors at me and wouldn’t sync anything that I did ). Thank you! Thank you! Thank you! I was thinking, “Wasted money” in this situation, now I’m back in business. What a life saving post…. Wow…I am always excited when a suggested fix actually works. My UP band is syncing again! Thanks you, thank you, thank you. I can’t do without my UP. Just lost 13 lbs in 6 weeks. Need to keep going. UP bracelet has changed my life. Great job losing that weight Michele! That is fantastic. I’m also glad to know my effort writing my review for the UP band helped you to fix yours also. Worked for me dude – thanks. Main thing was to ensure the usb was unpplugged before inserting up band into charger and then following steps outlined above. Phew! Worked for me too! Thank you for posting! These directions were clearer than those that are on the app. Neither the soft reset nor the hard reset fixed mine. Mine is right under two months old. Worked fine this morning, this afternoon no lights no charge nothing…..I was very worried about getting this band based on the reviews but I thought there is no way that this band has this many problems. I guess I was wrong. I did buy a two year replacement plan from the store. Good thing I did. Glad you did also. Ultimately I gave up on my UP! Currently I don’t have any wearable. However, recently I did upgrade to the new iPhone 5S and I’m using the NIKE+ Move app, more for fun than anything, because it does not log my movement when I’m at my desk, and I lay the phone on my desk. I refuse to wear the phone unless needed, so it is really not that accurate during the day. Furthermore, when I get home, I lay my phone either on my dresser or night stand. So, that App is hardly a replacement for a wearable. I think by this Fall there should be some more interesting prospects, but honestly, it is just not that important to me to know my every single movement. These bands are notorious for failing. I’m on my 3rd replacement and UP know that they have a problem and will replace them even if you didn’t purchase the replacement plan – or at least the did for me and the other 3 people that I know that had their band die too. If the soft or hard reset doesn’t work for you then call up at 800-JAW-BONE and ask for a replacement. I hope they they can figure out what’s wrong with these and design a more reliable product. I love the band and the app. The guy on the phone did tell me to never overcharge it (80 minutes tops), don’t shower with it or immerse it in water (even though it’s supposed to be water proof) and when you charge it don’t do so from a charger that’s connected to a wall socket (i.e. – use the USP port on your computer).